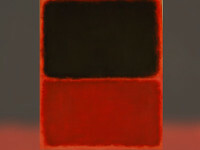 A Rothko allegedly faked by Qian. To neighbors he was another unassuming man in a working class Queens neighborhood who struggled to make ends meet in a competitive art market. To Federal prosecutors he was a brilliant forger whose work duped high end collectors out of millions of dollars. Pei-Shen Qian was a Chinese immigrant with an uncanny ability to mimic Abstract Expressionist masters. He could be Rothko, Pollock or Willem de Kooning. His fabrications have sold for millions in the defunct New York gallery Knoedler & Company. Qian allegedly worked through Glafira Rosales, an intermediary who either sold or consigned his works with Knoedler. Rosales’ boyfriend discovered Qian in lower Manhattan who recruited him to make paintings in the style of the Abstract Expressionists. Strapped for cash, Qian eagerly accepted. The scheme unraveled when questions about the authenticity of several Motherwells reached the attention of the FBI. The result was a bitter fight which divided professionals and ruined the reputations of many who vouched for the works. Lawsuits were filed and collectors demanded reimbursement. Last year after Federal prosecutors issued an indictment against him, Qian fled the country. ABC News recently caught up with him in Shanghai. “If you look at my bank account, you’ll see there is no income,” he said.